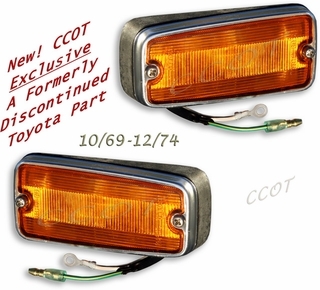 This light has been Discontinued by Toyota, however we still have a few in stock. Now available through an exclusive CCOT purchase. 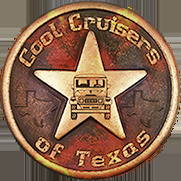 Note: These front marker lights may also fit other Land Cruiser models (like the FJ55) with screw holes that measure 3.54330 inches or 9 cm from center to center. However, the rubber base is cut at an angle any may require trimming to mount like your original lamp mounted. The marker light screw are 4 millimeter in diameter and will screw into captured nuts that are on your vehicle.